Perfectly positioned between a sandy shoreline and a pine forest, the Amarin luxury camping site wows with its beautiful scenery and fabulous facilities. The selection of onsite bars and restaurants is sure to impress, while many family-run eateries, nightlife hotspots and points of interest are located nearby. 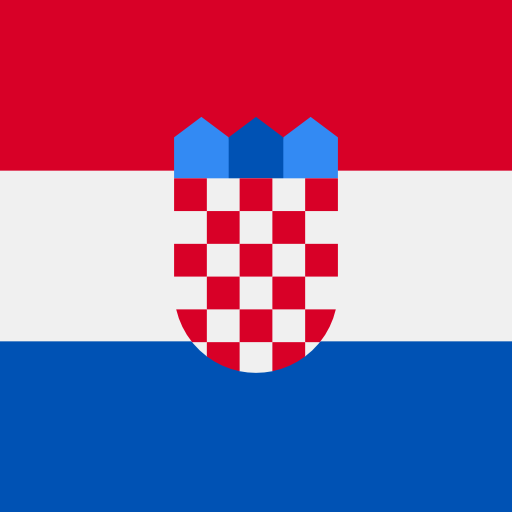 Book your stay with LUX-camp to secure your camping holiday in Croatia. Why should I camp at Amarin? 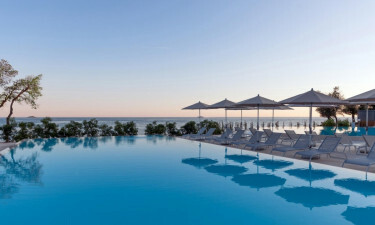 A highlight of Amarin has to be its location; the luxury camping and mobile home area is positioned along a beautiful stretch of white-pebbled beach, and a sandy beach is just a short stroll away. Both beaches have been awarded a Blue Flag, which is a status only given to the cleanest and safest beaches in Europe. Sun loungers and parasol rentals are available, and free showers are located on the beaches. Facilities are plentiful and there is everything you need here to have a comfortable and convenient home away from home. There is free Wi-Fi throughout most of the campsite, while an Internet point can be used for a small fee. There is also an onsite ATM machine, a bureau de change, dog showers, hair salon and even a massage facility. Pets are welcome at the Amarin for a small surcharge. 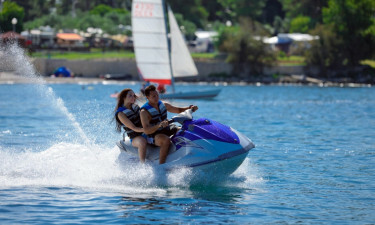 If you love water sports then you're in for a real treat – here you can rent kayaks, boats and pedal boats, or try your hand at paragliding, water-skiing and jet-skiing. 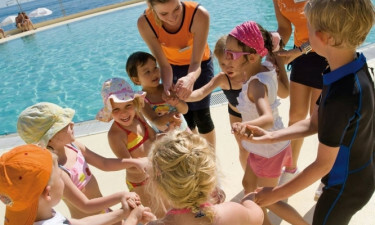 There are many activities to keep the little ones entertained. A children's playground is a fun place for your kids to work off some energy, while babysitting services are also available There is a children’s pool where they can splash around, and a trampoline that they can bounce around on. When it's time to get out of the sun, there is a games room that has video games, pool, darts and a selection of board games. A mini club is available for children between the ages of 4 and 12, while a teen club is open to those aged between 13 and 18. From traditional Istrian fare to European favourites, there is a selection of world cuisine available at the campsite. 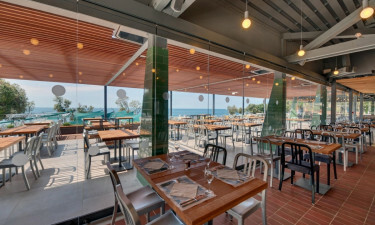 You can choose to dine at the Planika Grill, Lumina Pub, Kandela Pizzeria, the Pastry shop or the Nar Fresh Counter. When you need to quench your thirst, check out the Blue Garden Bar, the Blue Bar Plaza or even the poolside bar. There is a small souvenir shop and newsstand available on the campsite, where you can pick up some gifts to take home or a magazine to read by the pool. There is also a small grocery store where you can buy fresh and canned foods, as well as snacks and drinks. Head to the nearby Rovinj Old Town for trendy boutiques that sell beautiful clothing, traditional handicrafts and more.